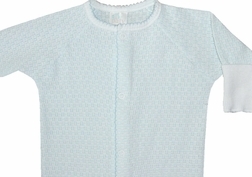 A wonderfully soft knit gown by Paty Inc. for infant, baby boys in blue pointel. 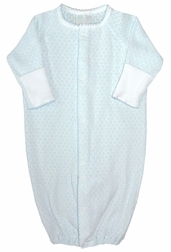 The gown has white trim and pockets at the ends of the sleeves that can cover his little hands for warmth. 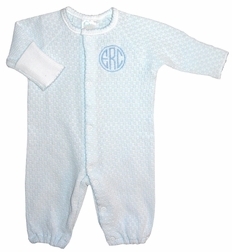 The gown converts to a romper as he gets a little older. Perfect for monogramming.